Christmas is around the corner and there are some cute things I've been eyeing. And most importantly, I can fit into clothes!! Being pregnant was fun, but I sure like getting back into my old clothes, and maybe purchase some new since I haven't had any new fitting clothes since January! There are other things I've been eyeing as well! This dress is something I've been eyeing since March. But now it's on sale and guess what? I still want it! Suede skirt are in.And I actually saw one super similiar while I was pregnant and I didn;t get it. I wish I did, and still on the look out! Booties are my go-to dress up outfit accessory. They are casual enough, but can be paired with jeans or dress. I really want some camel colored ones this Christmas! With a baby now, I need a purse large enough to put diapers, and baby stuff. Sometimes a diaper bag is just way to big to carry when I'm simply going to the store, but I need a bag large enough in case of an emergency. This fossil one looks like a good one for me! I'm dying for a personalized necklace. I know two boys' names that would be perfect! I really want a black hat for the cold season, and huge plus is that it can make any outfit cooler and more put together! I really want this eyebrow kit. Keeping my eyebrows groomed makes a difference since I have dark thick brows. I love rifle paper, and this cute planner is just what I need for the new busy year! Hello! It's December and November passed me by. 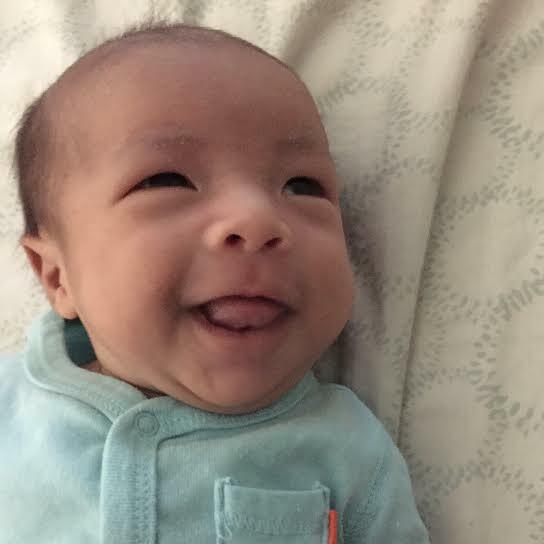 It's been almost 6 weeks since Jonah has been in our lives, and now I can't imagine him not in it. He's the perfect addition to our little family. But it wasn't an easy walk in the park to get him here. Oh, the contractions were the worst, the pushing wasn't as bad as I imagined, and the outcome was wonderful. 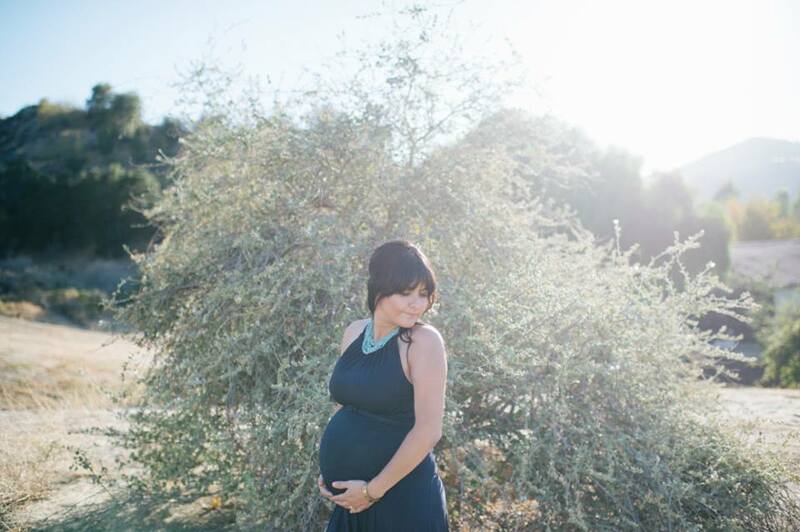 I wanted to share my birthing story before I forget it all, and it becomes a blur. Because I'm starting to forget how painful it was that a second child doesn't seem like a bad idea. Haha! 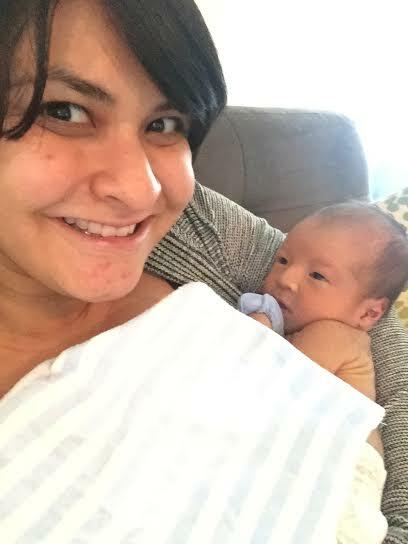 For me, everything started the day before Jonah was born. 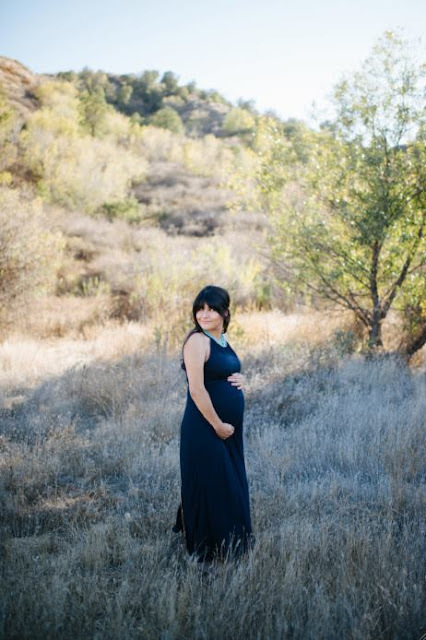 I went to my regular weekly doctor's appointment since I was 39 weeks and almost due. The week before I was 75% effaced, and only dilated 1cm. This time I was 80% effaced, and 1.5 cm effaced. Not much had changed, but he was very low. So the doctor asked if I wanted to induce my labor by getting a membrane sweep. I actually had no idea what it was so she explained and said it was a way to induce your labor, but it doesn't always fasten the process. Some people will start going into labor within the 48 hours of the sweep and some others won't go into labor until another week. 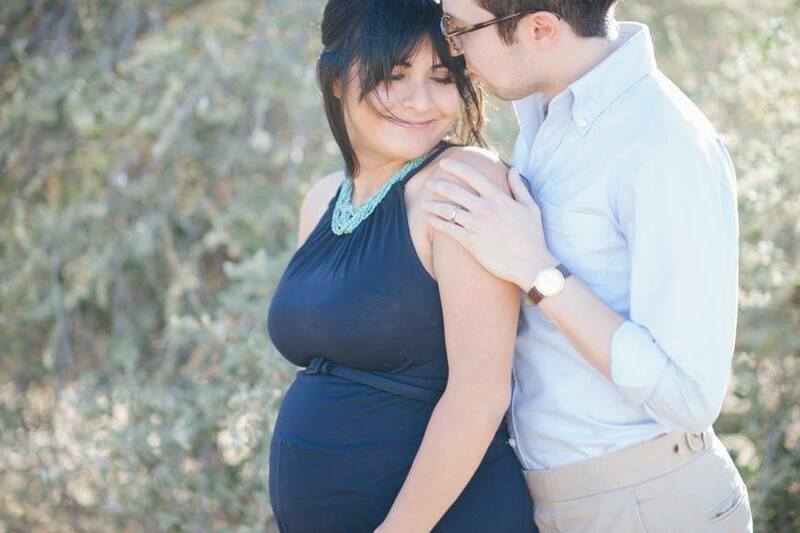 We basically got it done so I wouldn't go past my due date. I heard being overdue isn't very fun. That day of the membrane sweep I just felt funny. The sweep isn't the most comfortable thing so I just thought maybe I just felt weird because of it. But I just had this strange feeling. Then that night, I began to bleed and my mucus plug came out. Right then I knew it was coming sooner than later. Ralph and I watched a show on netflix, then I decided we should sleep early, and had a feeling I would need the sleep. And sure enough, the contractions started at 1:45am! During the contractions, all I kept thinking was how in the world women have multiple pregnancies because contractions are so painful. I waited for an hour to see if the contractions were ongoing. And they kept coming every 4-5 minutes and it wasn't going away. Finally by 3am I made my way to the hospital. I went in and my contractions were being monitored and they were happening every 2-4 minutes but I was only dilated 1.5cm like the day before. They checked for 2 hours and nothing changed. They told me to walk around for 45 minutes to see if that would help and if nothing else, I could go home and come back once I was more dilated. I began to walk but every time I got a contraction, my legs would shake and couldn't walk so we went back to the room. When they checked me again, I was already 4cm. and by this time it was around 6am. The doctor came to check me and told me Jonah would be born by 6pm. I couldn't believe he would be here by the end of the day. The figured it would be slow so they gave me a bit of pitocin to help induce the labor, and I asked for the epidural because I was in a lot of discomfort and pain. My sister also told me it takes some time to get the epidural ordered so I figured I'd better ask sooner than later. Somehow when they came back to check me, I was already 7cm and in a lot of pain. The doctor also broke my water and the epidural was going to be put into me. I was in soooo much pain, I was just ready for the epidural. Once it was done, I began to feel a numbness come over my body, except it only on my right side. 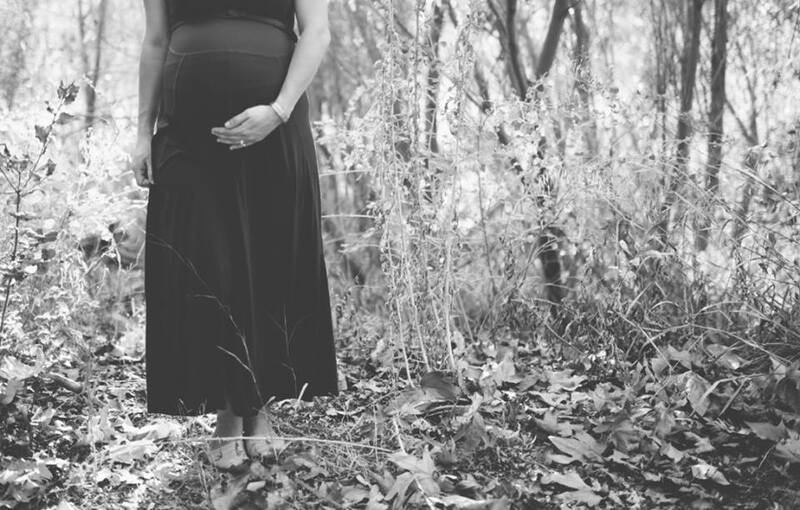 My right leg was completely heavy and numb, and my left side was mobile, and I could feel the contractions still. Not as bad, but I could slightly feel them. They had me lie on my left side to see if the epidural would spread. It wasn't too bad of a pain on the left side, but then it got intense! It was very painful despite the epidural. And they checked me again and I was already at 9cm! They gave me a boost for the epidural because I couldn't hang and it actually helped. The delivery table with all the tools were in the room, and I knew he was coming faster than expected! It was around noon and they told me I was going to start pushing, Since I could feel the contractions and the nurse told me to let her know when I felt the strong contractions so I could push. The pushing wasn't too bad and the nurse was so wonderful and coached me through the pain. I began to crown and the doctor was called in. I felt like I could push Jonah out already except the doctor still wasn't there! He finally came in and I seriously only pushed a couple times with the doctor before Jonah came out. The moment was surreal. I saw his little head and top part of his body out, and then to my surprise, the doctor told me to grab Jonah and pull the rest of him out and place him on my chest! It was crazy, and so cool too. It was so wonderful to have him on me as soon as he was born. So many tears just came out as soon as I saw him. He was beautiful and just having Ralph be with me to experience the whole thing was wonderful. I loved it. One of the best moments of my life. Now I understand why women do it again and again despite the pain. The outcome is beyond words and the love you feel is unexplainable. He's going on 6 weeks this week, getting nice and chunky, and eating like a champ! He's got a spunky personality, and loves to kill us with his smiles. He's seriously the best, and love him a whole ton! Here's his face these days! 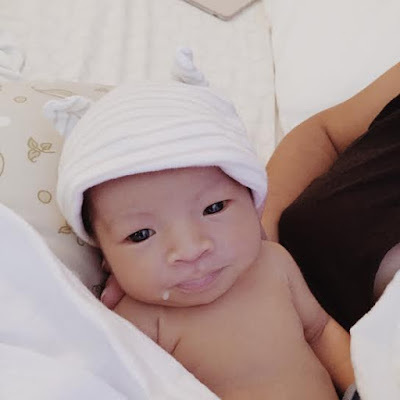 Jonah Peter Chang has joined our little family! 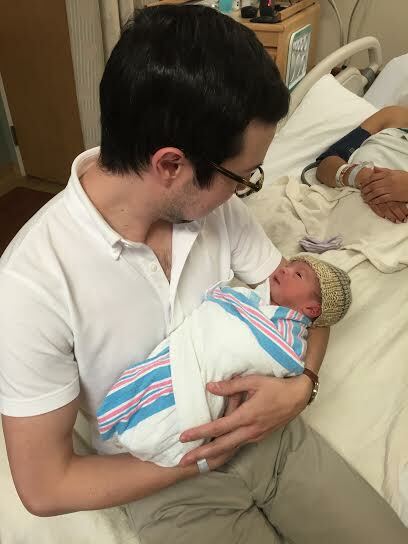 He born at 1pm exactly, and weighing 6lbs 7oz. on Thursday, October 22. He came 5 days before his due date. And I'm glad he decided to surprise us! The whole day was a blur, but I had a feeling he was coming the night before. And I'll share my delivery story later, but it basically was faster than I thought and painful. And the epidural didn't work 100% so you can imagine the pain I felt. Fun times for this first time mom! 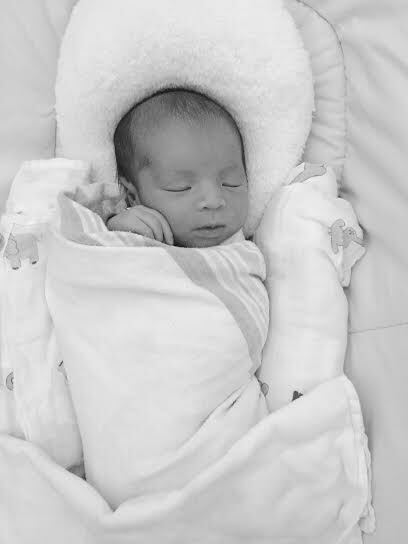 But thank God it was a smooth delivery without any complications and our little guy is healthy. You can't ask for anything more! Never in my life would I have imagined my heart grow so much. Who knew that a prayer I had over a year ago would be Jonah and make our life complete. 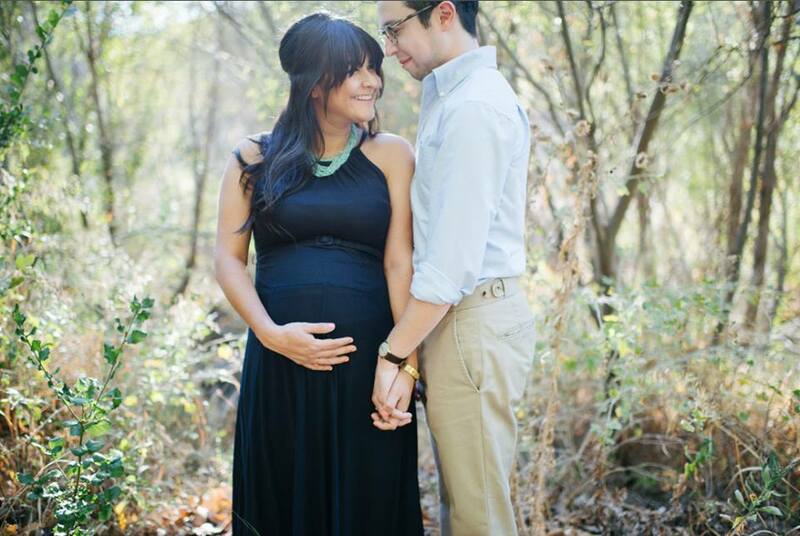 God knew what he was doing making us wait for the perfect little boy. Ralph and I are completely smitten with him and feel so blessed to be the ones chosen to be his parents. More updates later, but just wanted to let you all know we are all well and settled at home. Stay tuned for more Jonah updates!! 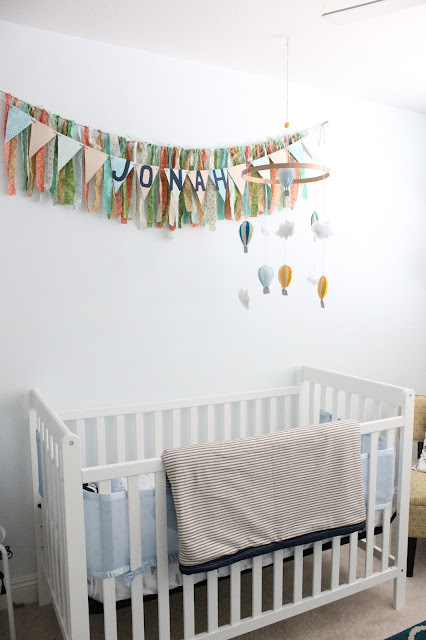 Last week I shared Jonah's room and all the little details. One of the things I DIYed for his room was his baby air balloon mobile. I found the tutorial through pinterest from a blog called craftinessisnotoptional.com. I knew I didn't want to buy one since I couldn't find what I wanted exactly. So making it just made sense. The tutorial comes with a lot of pieces but thankfully you can print a template. 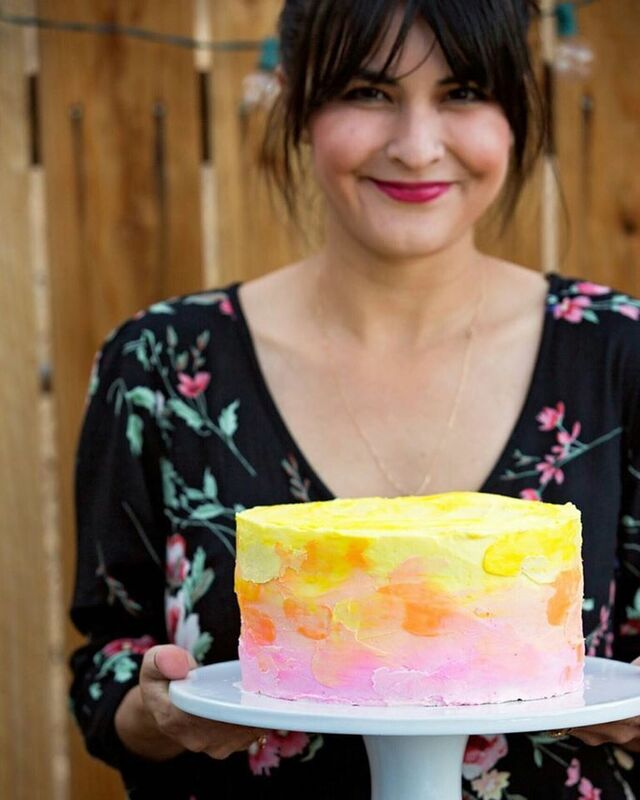 It's very easy and you can do whatever colors you want! 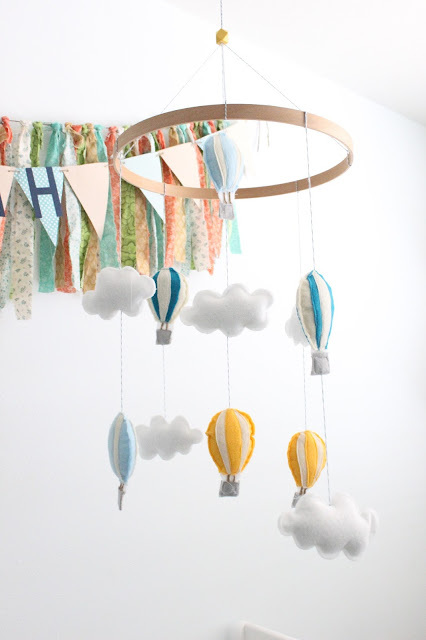 Once you kind of figure out the template, you can start putting the air balloon together to sew. I first started sewing the bigger pieces, and outlining it. Then I added the center piece, and kept adding more stitching to the edges. As you can see, I added clouds as well! It's simple and really only took me a few hours to complete. And the best part, probably cost me no more than $15. I hope Jonah loves it, and keeps him mesmerized for days, and nights! Now, we just wait for this kiddo! Guess what? Jonah's room is ready! Only took me long enough. Everyone thought I would have his room ready months ago, but it just was hard with kitchen renovations going on the whole summer. I'm the type of person that likes to work on one big project at a time. Don't get me wrong, I'm a multitasker by trade, but my preference at home is to finish a room at a time or else I feel like I'm left with multiple giant messes, which drives me crazier and feels overwhelming. But once the kitchen was done, I was on that nursery! I wasn't worried, I knew it would come together. We had a giant wardrobe in the nursery that my mom wanted and I wanted to get rid of. It was mighty large so it was a bit hard to set the room up with the wardrobe in the way. But finally 2 weeks ago my mom picked it up. I already had the changing table and a dresser for the room, but we recently just got the crib once the wardrobe was out of the way and you'd be surprised what a difference it made and how much easier it made it for me to set the nursery up! A lot of things we have in the nursery was either given to us, or we owned already. We hardly bought things which was super helpful. I knew I wanted the nursery be more pastel with lots of colors, and different shades of blue. I also knew I wanted an explorer/ adventure theme. Ralph and I love traveling so it's only right to get Jonah to love the thought of adventure. The bedroom was already this blue/greyish shade. And after all the renovations we had finished, I was in no mood to paint the room when I was more than okay with this shade. It's boyish, neutral, and brightens up the room. 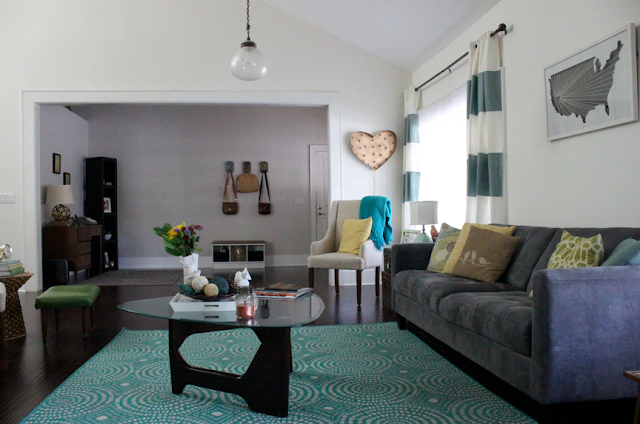 For such a small room, I wanted the room to appear light and airy. Thankfully my sister gave me changing table, I just painted it ombre to change it up a bit. We also started a gallery wall for Jonah's room. As you can see, maps were my inspiration. I just love the different colors they have and how they all correlate. I'm sure through the months, I will change things here and there but for now I'm happy with the space. I would love a little bookshelf in the space at some point for toy storage and more books, but Jonah isn't in the need for one quite yet. The room I thought would never come together is finally done. I feel at ease and okay if Jonah were to come any moment. We're ready as we can be. 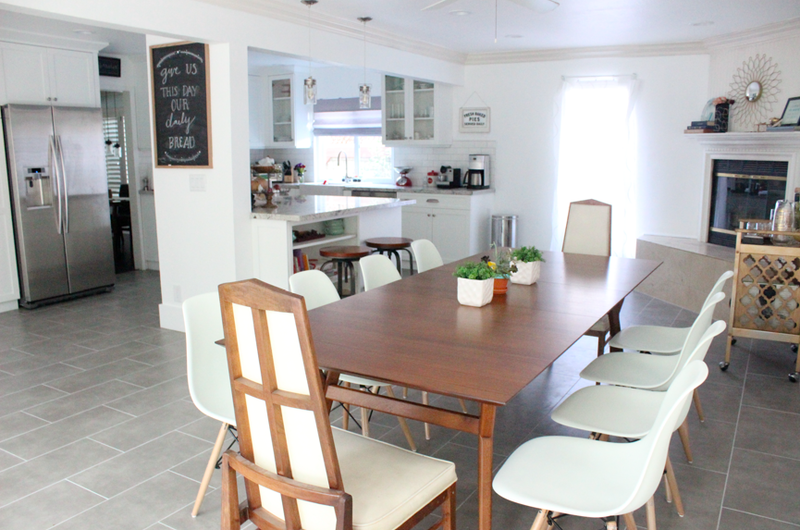 Today I'm sharing another House Update! I know, two in a row! 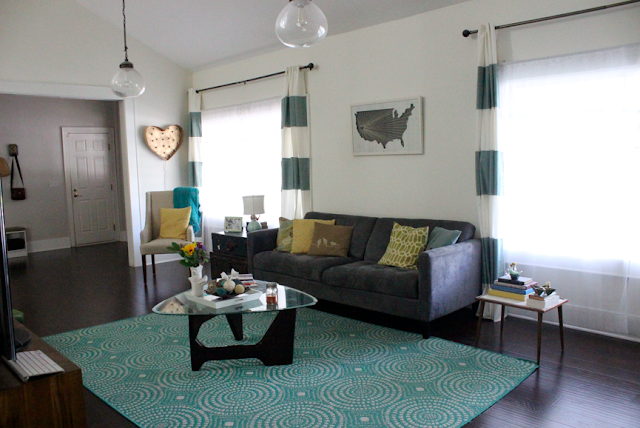 If you missed yesterday's, it was an update on our floors in our living space. You can check it out here. Except today's room is a new room I hardly have shared since it's a new space we just started using. This back room was pretty bad when we moved in. The wall on left hand side actually has a window behind it that we opened up, and the dark color room and green carpet was not the business. The room was an add on someone did prior to us moving and meant to be a family room but it's so far from everything else and kind of small. This room is actually right beside the kitchen and even had a counter bar for the kitchen but it definitely never felt part of the space. It's in the very back of the house, and often would be neglected. This is how it looked before our kitchen renovation. 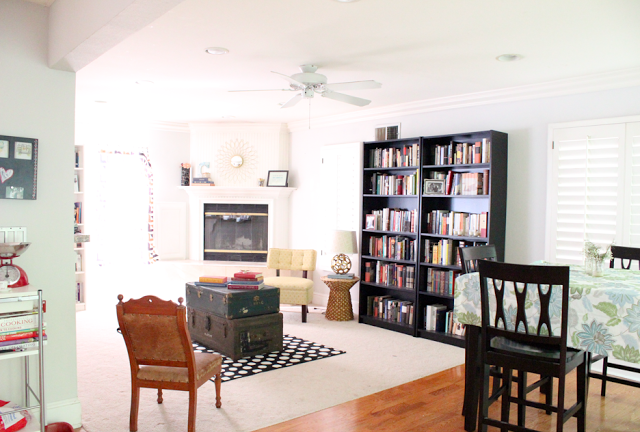 We never knew what to do with it since it was small carpeted space, so we made it into a library/ living room. I looked nice, except it was never used. The table to the right was my "cake making space" since our counters never were ideal for it. It was definitely a mismatched of things going on. 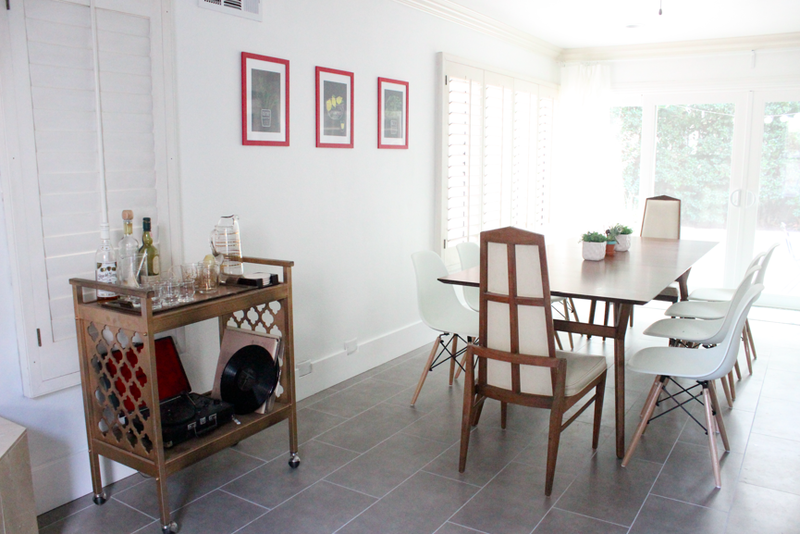 We felt the space had more potential, and could flow better with the new kitchen. This is the view from the corner back room into the kitchen. Here you can see the kitchen bar and how the space was wasted. And here's the space now! We brightened up the room and actually made it into a eating space. And we also changed the flooring to a grey tile. We still need more small details and decor but so far it's looking way better. And here you can see how much more open it is to the kitchen. We finally got the table in about a month ago, and it sits 10. 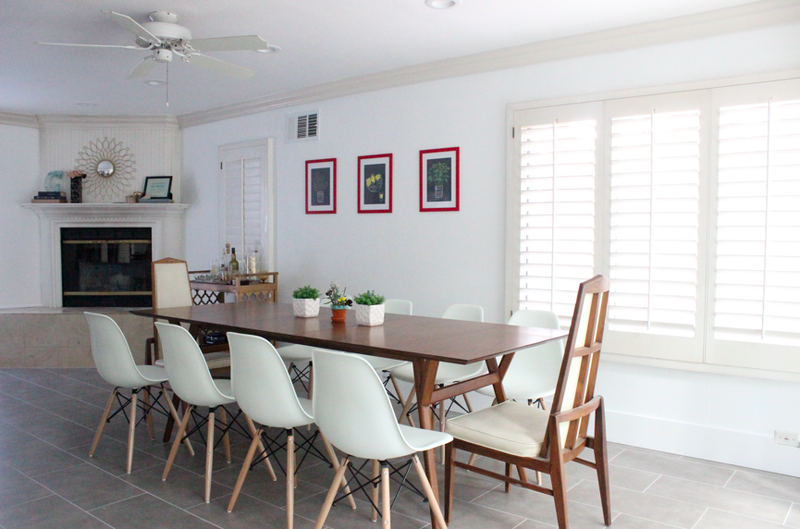 I love that we can have larger dinner parties if we wanted to and not worry about space. I would love to add a buffet to the space too! But for now, I'm happy this space gets used daily! And don't forget to check out the nursery later this week! Stay tuned! 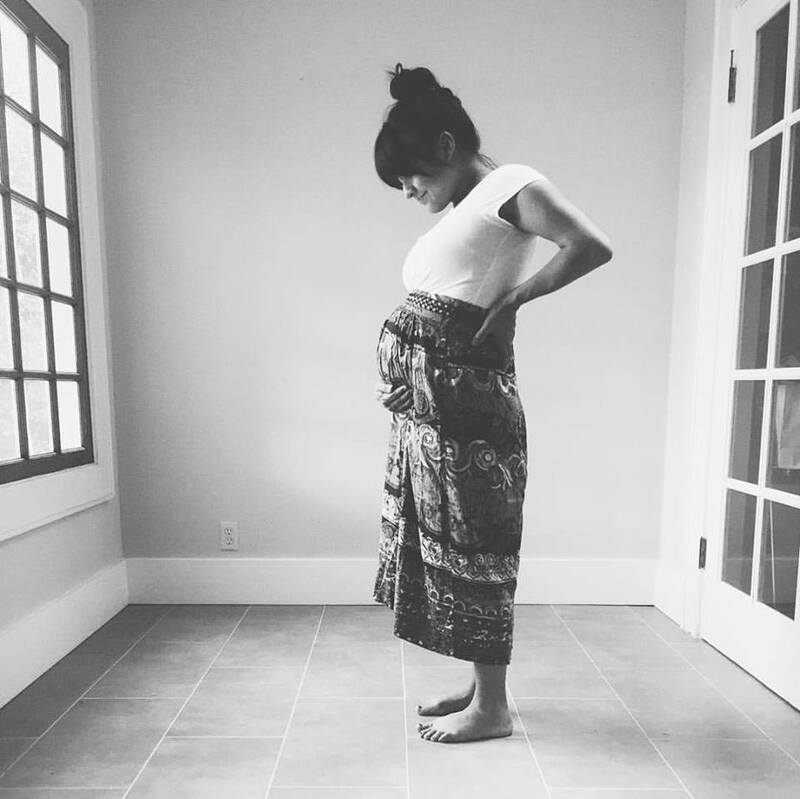 It's crunch time here in the Chang house as we have 3 weeks left til Jonah is due. It's all beginning to feel real, and we did major cleaning and setting the house up for this baby's arrival. Thankfully we have no more renovations, but it sure felt like we were going to keep on going until his arrival. Anyway, today I wanted to share our living space since it's one of the rooms we semi did. 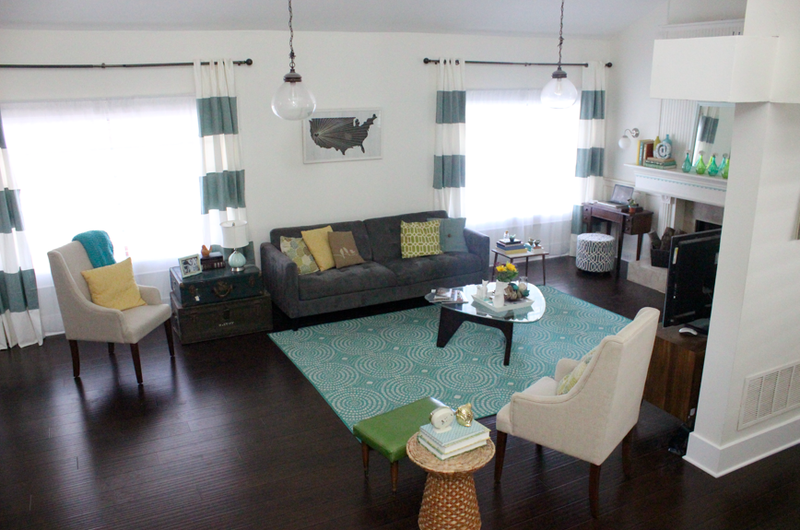 And by semi did, I mean we actually just did the floors and got rid of that stinky ol' carpet I hated! It opened up the space and made it more modern. All the before images are from before we moved in. I sometimes forget how bad it was and like looking back to remind myself how far we've come from this dark space. Here's the our living space now. The decor doesn't look too different from the last time I did the living room update but the floors change the look of the space. I still want to do something with the fireplace, but for now it works. 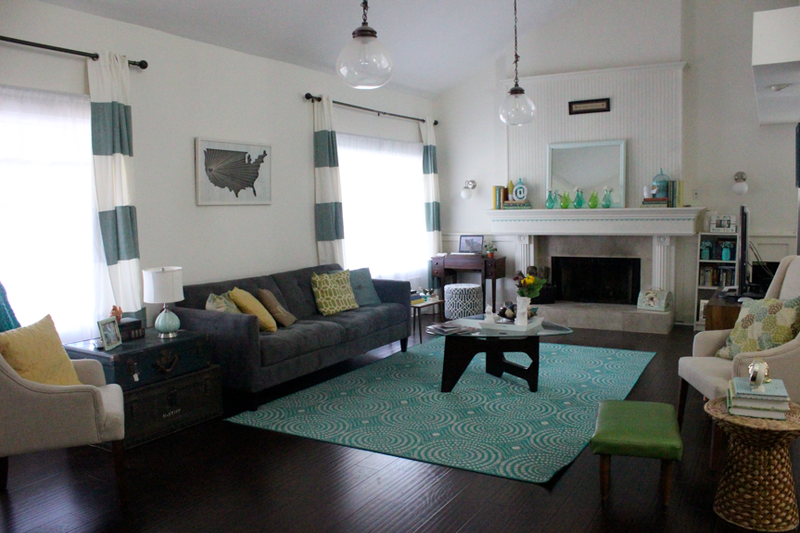 We went with a dark color floor since I wanted to it to contrast with the white walls we have. 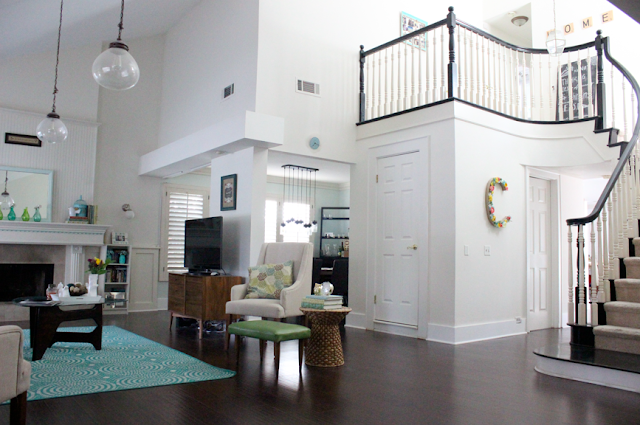 Here's the view from the fireplace point of view and into the foyer far in the back. Here you can see how the floor flows throughout the room as opposed to the carpet patch we used to have. And here's the view from the foyer. I love the dark and white contrast we have going on in the living room. 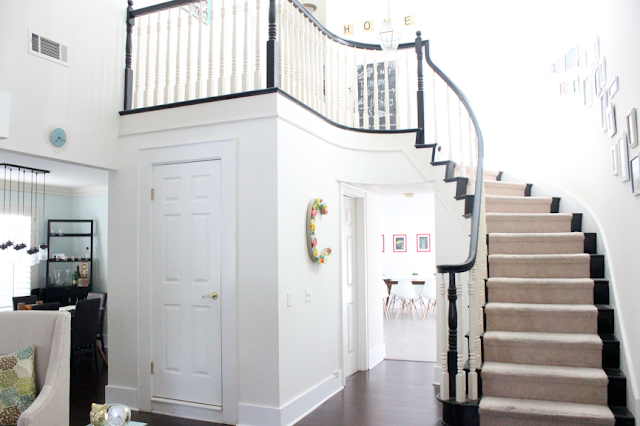 And those stained stairs are still going strong! Remember when I did those way back when? And guess what? Tomorrow I'll be sharing our dining space and then the nursery! I have a ton of updates to do so stay tuned! Last week I got showered by my family and friends and it was so nice and special. It was a particularly hotter than average day, so you can imagine how much hotter this lady here was feeling. But it didn't stop us from celebrating baby Jonah. 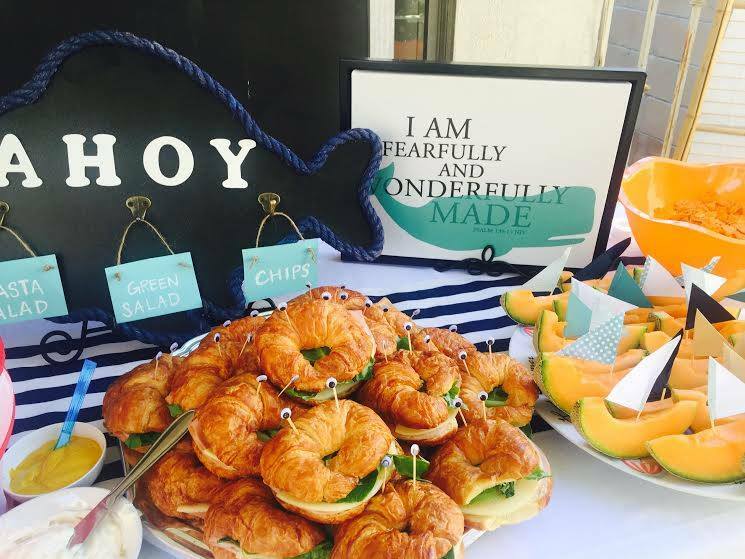 My mom, sisters, and best friend did a great job with all the fun nautical themed shower. It was so cute! Here are some of the details! The cake I made, because I couldn't help myself! Such a cute diaper cake my friend, Alex, made. So cute and perfect for the theme! My family made these fun crab croissants that were just adorable! I loved the drink details too! So nice and ocean blue lemonade was the cherry on top. I actually made the drift wood boats. I saw them on pinterest and knew I had to make them. We spent a morning making this paper boat garland. It was tied with rope too so it made it look even more nautical! 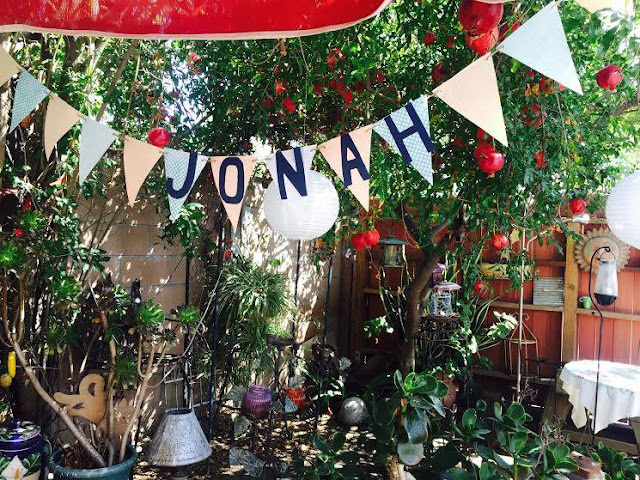 And here's Jonah name banner of course! And all the food details with those cute crabs, and did I mention we had fun cantaloupe sail boats? Just loved it all! It was great to have so many loved ones there celebrating Jonah. We all felt super loved! Now, 4 more weeks to go! I took some maternity pictures a couple weeks ago. I actually almost didn't do them, but had a feeling I would maybe regret it later down the line. I took the plunge and knew that if I wanted pictures, I wanted our wedding photographer, Lydia Messenger, to do them. Her photography style is just what I love and knew I wanted to use her again. She did not disappoint. They are perfect and so glad we did them.